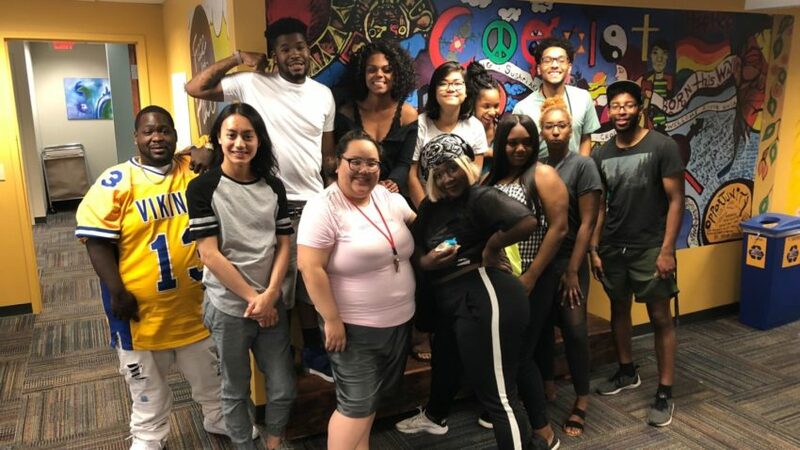 October’s Positive Change recipient is Face to Face (FTF), a community clinic on Saint Paul’s East Side that empowers youth to overcome barriers and strive toward living healthy, self-sufficient lives. Founded in 1972, FTF provides access to medical, mental health, and homeless-youth services to over 3,300 children and young adults ages 11–24 annually, regardless of insurance status or ability to pay. FTF’s services support low-income youth who face multiple barriers to healthy development. FTF’s SafeZone drop-in center serves youth who are experiencing homelessness or who are at risk of homelessness. It is the only resource of its kind for youth experiencing homelessness in the broader East Metro region and offers a food shelf, bagged lunch, and a hot meals program daily. FTF’s SafeZone also offers transportation assistance, shower and laundry access, and a wide variety of housing, employment, and medical support services. Last year, FTF provided 1,651 youth with access to 17,100 hot meals. For most of the young people that FTF serves, the meal they get at SafeZone is their only food for the day. Over 70% of youth at SafeZone say that needing access to food is their top priority. October Positive Change funds will support FTF’s SafeZone meal program and food shelf to increase the quantity, quality, and diversity of healthful food provided.